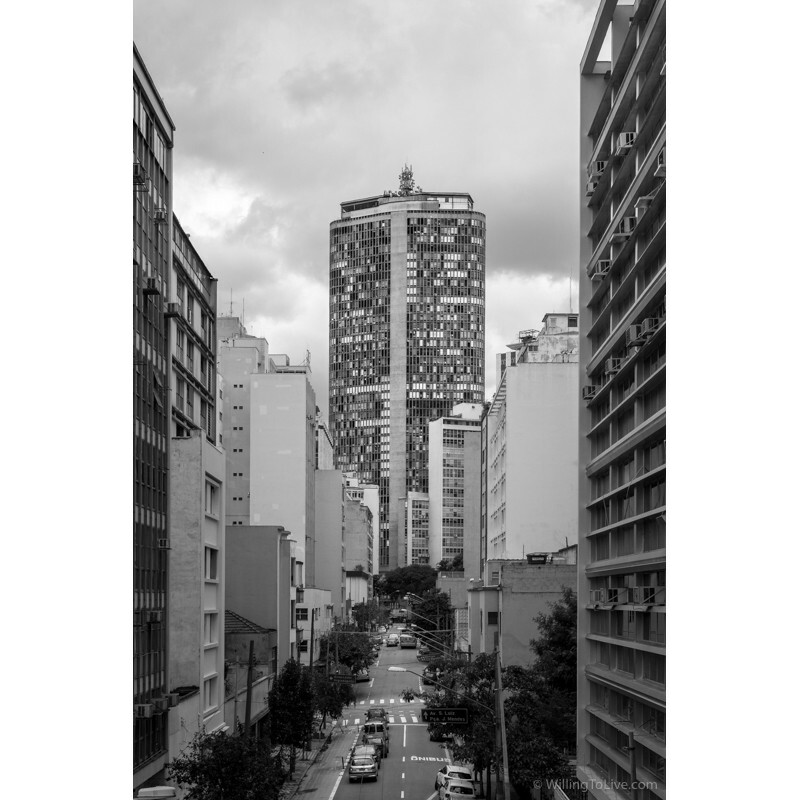 Do you want to know a good way to visit, photograph and make friends in São Paulo? Join a photowalk organized by Click a Pé! I discovered them in April of 2016. Since then, I’ve always been in their photowalks! 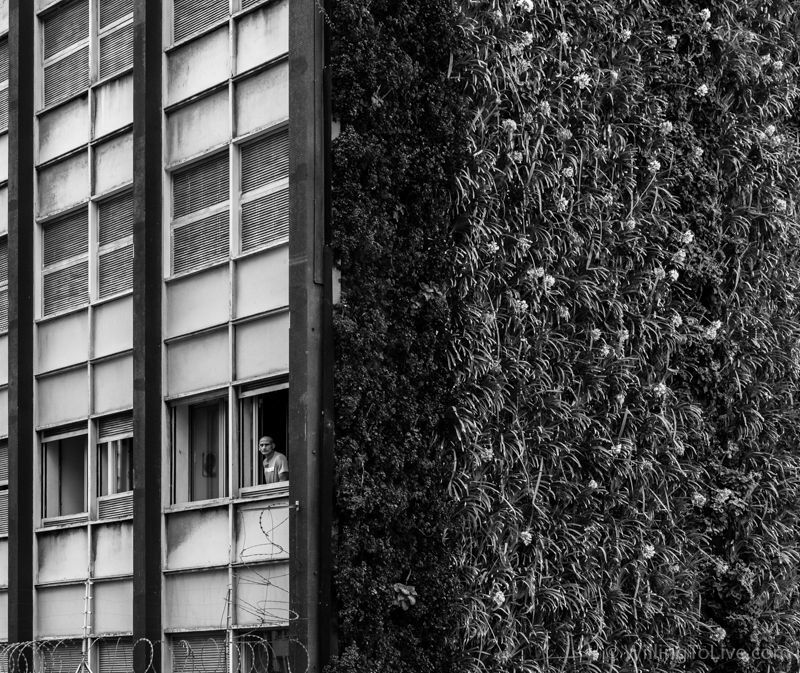 The photowalks are well organized and happen monthly in different locations around the city of São Paulo and nearby regions. There is always a nice giveaway at the beginning of each photowalk, not just physical gifts (like a backpack), but also the ability to get privileged views during the photowalks that you can’t otherwise. For example, from high buildings in Paulista Avenue or at the top of Catedral da Sé. More than that, everybody can enjoy awesome moments because many of the photowalks take place in locations that you are allowed to photograph just with special permission. And Click a Pé can get it for you! Instead of trying to explain to you what Elevado Presidente João Goulart (Minhocão) is, I think is a better idea if you give a look at Google Street View below. That view is from the starting point of the photowalk. If you want more detail about Minhocão, check Wikipedia, please. The easiest way to get there using public transportation is by subway. Marechal Deodoro station is exactly in front of one of the access ramps of Minhocão. You leave the subway station, cross the street, get the ramp, and that’s it. Click a Pé photowalks usually happen at 10 AM on Sundays. Exactly like this in Minhocão. To make it easier, the meeting point was just outside Marechal Deodoro subway station. Our starting point was exactly after the access ramp and the route ended at Rua da Consolação. My walk took 2 hours. Is it possible to take more time? Yes. Is it possible to take less time? Yes :). Take your time. 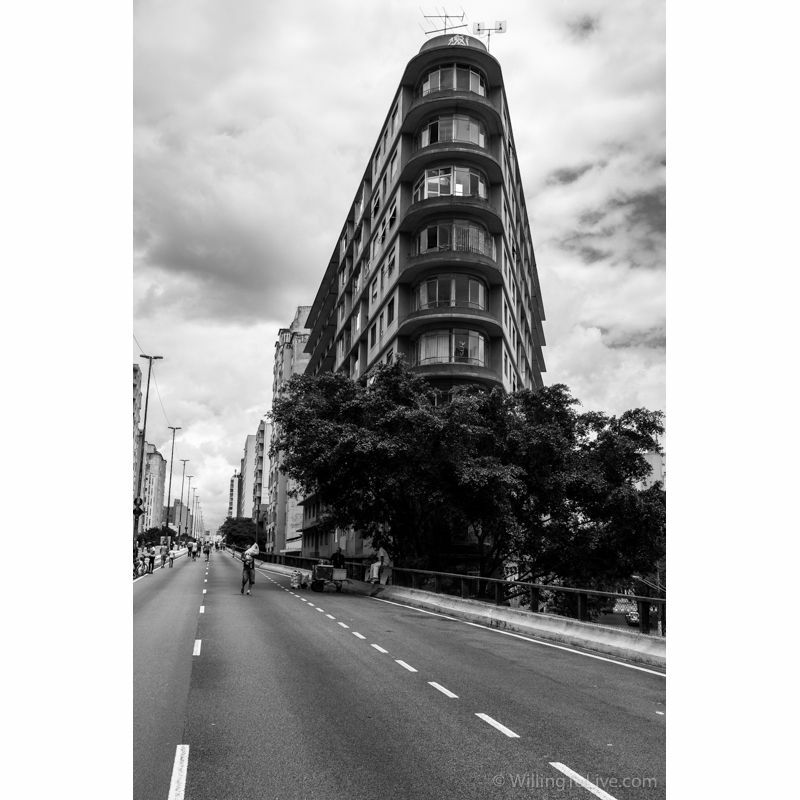 Just remember that you are in São Paulo downtown area, it is recommended that you go for a photowalk always in a group. In Click a Pé’s photowalks there are always a lot of people, so this is not a problem. Just move together with the group. Important! 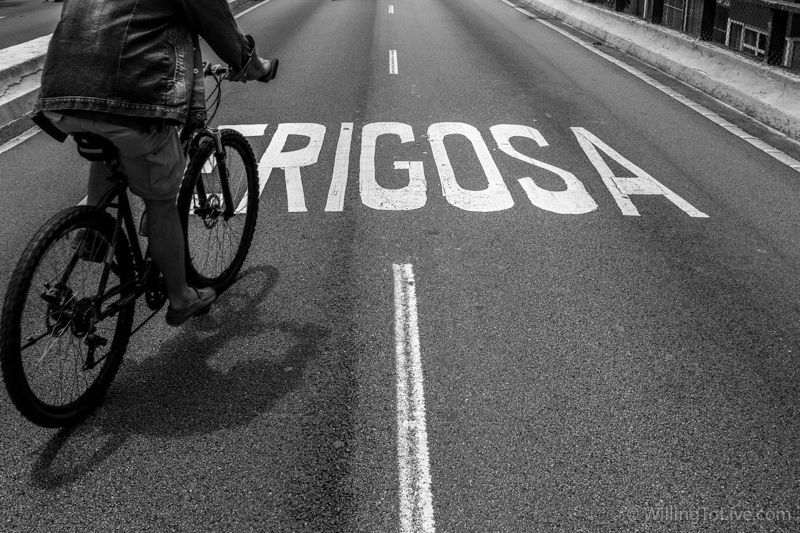 On Sundays, Minhocão is closed for cars. So, just people can use it. 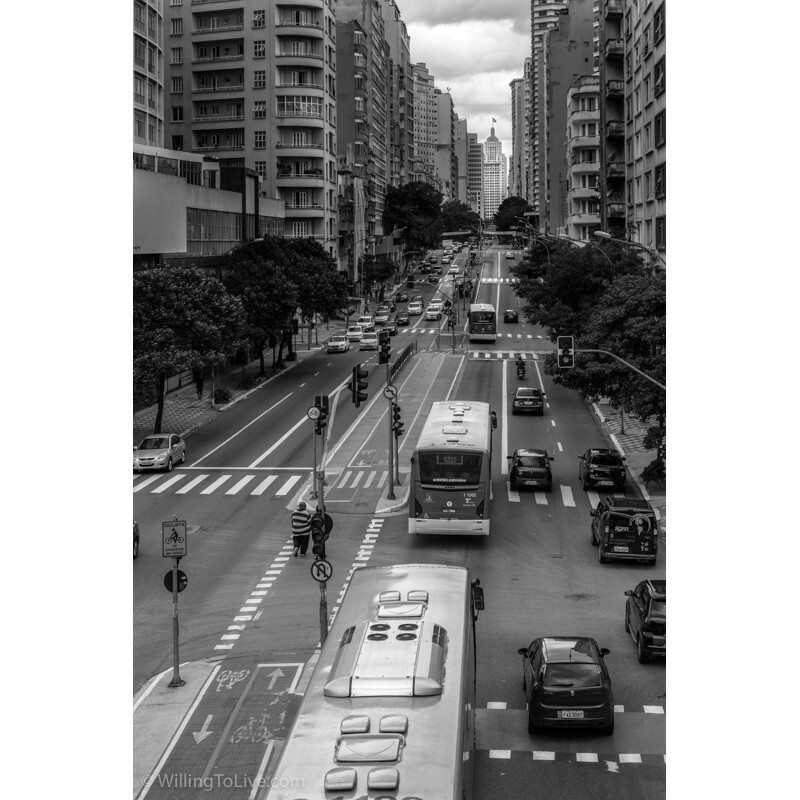 The same as in Paulista Avenue. Just after arriving, I had my photowalk ticket read (there is a QR code on it), I also got my giveaway number, and chatted with some people. Soon after, Labate arrived. Quite some time that we didn’t go together for a photowalk. It was nice! As it always happens at the beginning of every photowalk, Mariana Orsi, creator of the Click a Pé photowalks, welcomed us and gave the instructions for the photowalk. Especially that day, she also told us some news. The 2018 calendar from Catedral da Sé will have photographs of the participants of a photowalk that happened there some months ago. After that, we have the giveaways. I haven’t won, but I still have faith that I will win that backpack someday hehehe. As it was a birthday, somebody brought a cake and we had a small party :). But we were in a group of about 300 photographers. Imagine how many clicks could be heard :). You will have an idea with the photo below. If you are surprised by the number of people, photowalks organized by Click a Pé are always like this, with a lot of people enjoying the walk and having a good time together. Our small party. 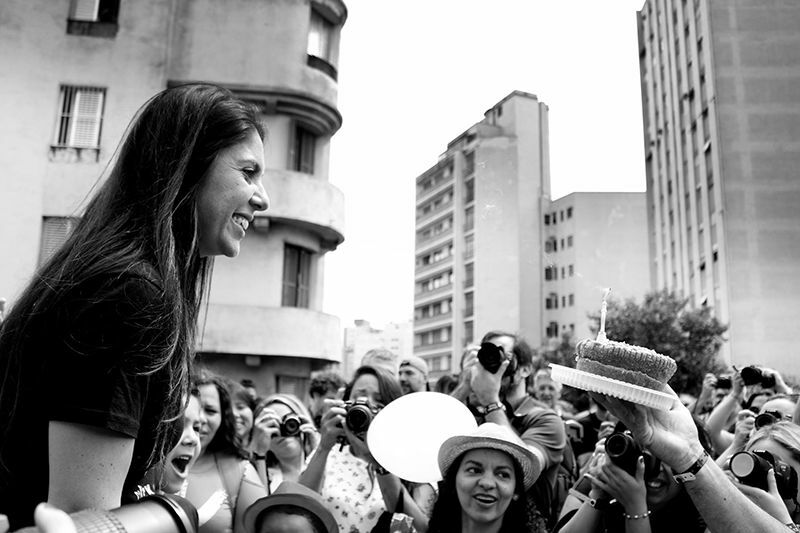 Mariana Orsi (left), participants enjoying and photographing (background) and the cake given to Mari (right). I like this photograph. In my opinion, it shows the will, happiness, involvement and the care that the participants have with Click a Pé. Somebody even brought a cake for the birthday. This photograph was taken by Edmilson Silva. They were taking advantage of an old building as the background. When it was new, it should be a very imposing building, but now it seems very old and is not very well maintained. Anyway, still today it is a building that draws attention. The weather was very unstable that day. It started almost drizzling, then the sky opened and it got hot. Some time later, it was overcast again. And it kept like that, transitioning from overcast to almost open sky during the majority of the photowalk. Near the end of the photowalk, it seemed that it was about to rain a lot. That is the moment when some thoughts start to run in our minds… “Where can I hide when it starts to rain?”, “Is the raincoat in my bag?”, “Is my camera going to get wet?” Do you want to be always ready for a photowalk? Check the guide I’ve written about the basic resources you should have during a photowalk. Along the way, it was fairly common to see people running, walking and riding a bike. Something that caught my attention during the walk were the views of the city with very well-known buildings. 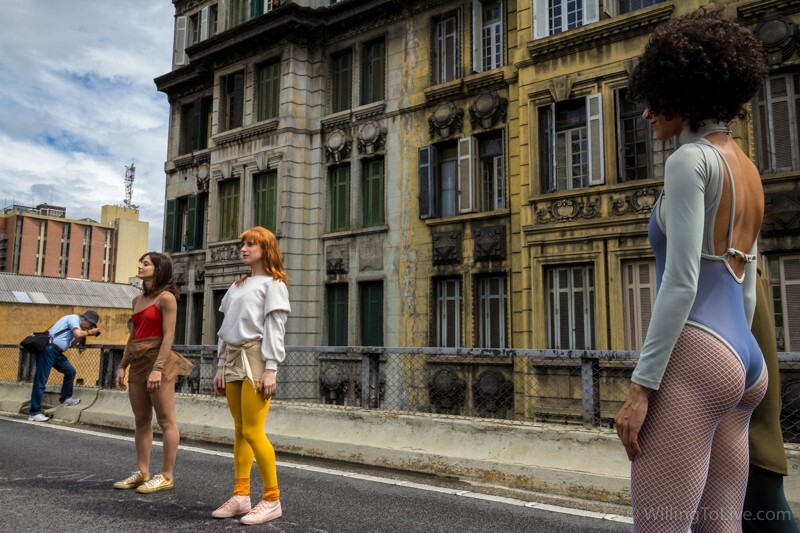 Right from the start, and for a good part of the walk, Minhocão seems to be facing the Banespa building (Altino Arantes Building). The view above of Banespa building, when the Minhocão makes the turn, should also make a good photo at night, taking advantage of the car lights when using long exposure. The problem is to be there at night (security issues). In other views, we can see Copan and also the Itália Building. During the walk, you can also see some murals. Some further away and others very close to you. When I was there, one of them was being painted. Beyond that, there are vertical gardens. It is cool! I had never seen one up close. There are plenty of buildings facades along the way. 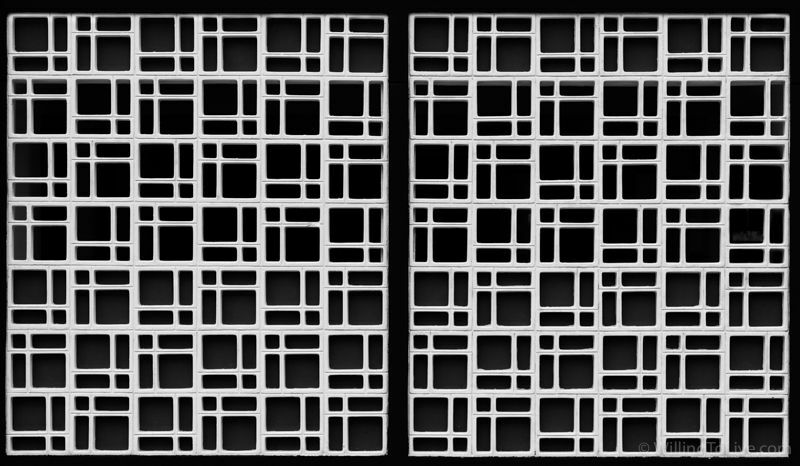 If you like patterns, windows, geometry or simply the set of facades of buildings, you will have a lot of fun there. Just notice that the buildings have the architecture style of their time, so they are not very modern. One of the buildings, that should have been painted recently, was begging you to take a picture of him. 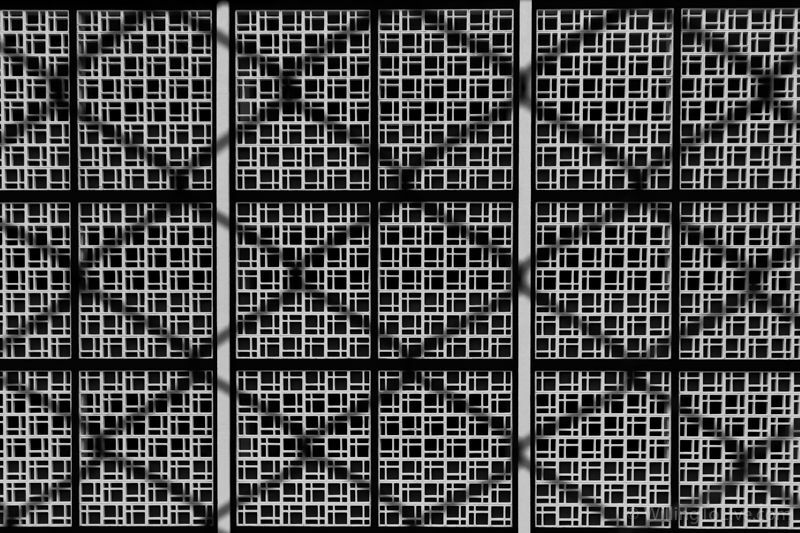 It had a kind of grid painted in black and white, creating a contrasty pattern. 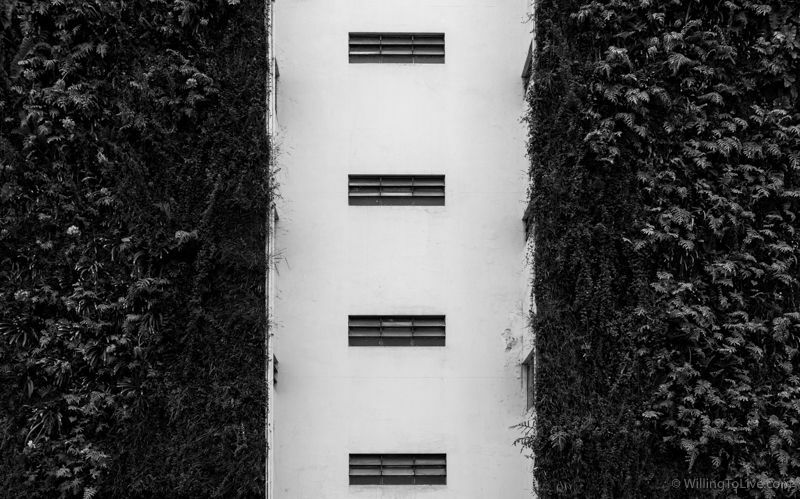 It was a typical architecture photowalk, but you can make some street photography as well. 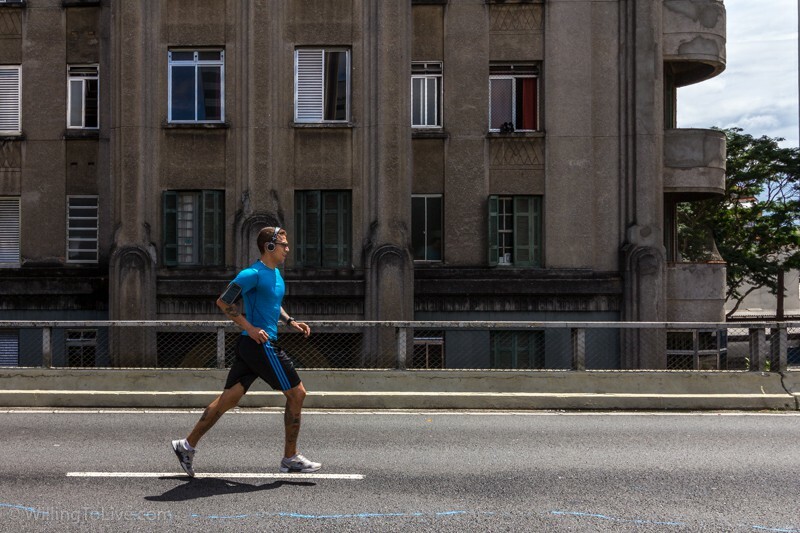 We are in the downtown area of a very big city and when walking through Minhocão, you are as high as the building’s windows and there is no sidewalk. It is a different perspective than walking on a typical street. 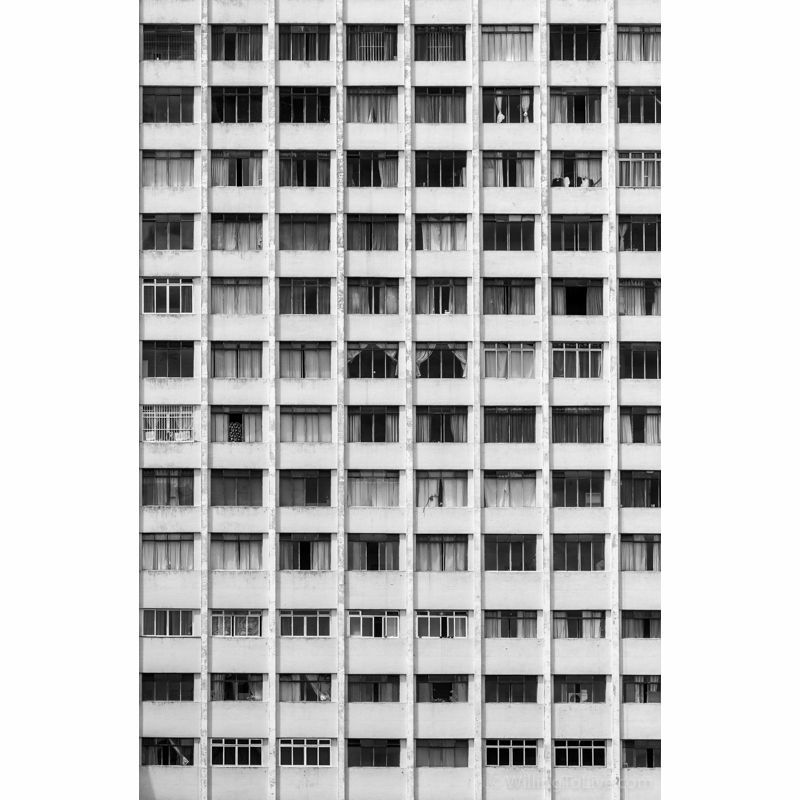 Maybe someone who is starting in photography, and who is not an architect, should think that there is nothing to photograph there. But there is. You just have to look it differently. Have you noticed the lines? There are several lines helping the composition of the photographs above. If you did not notice them, it’s worth checking them again. They help a lot to guide the eye of those that are looking at the photograph. If you haven’t understood anything that I said, I’ll write more about lines and composition soon. Keep reading the blog :). Mission Accomplished! Another part of the city known the way that I like the most, with the photographic look! Now I can say that I have discovered one more place in my city ;). But the photowalk don’t end here! It is very nice to see how the other participants of the photowalk saw and photographed the same place. We always learn and also have fun. Click a Pé has a very active Facebook group and there are many posts on Instagram using the photowalk hashtags. The organization chooses several “featured click” on Instagram and there is also the photo chosen by the community inside FB group. If you sign up for the blog, I will let you know about Click a Pé photowalks and I will also help you with all the details on how to participate and enjoy this very nice group that we have in São Paulo. Just click the button below! Remember that Click a Pé photowalks are free. Please confirm your subscription clicking on a button in an email that has already been sent to you. If it is not in your inbox right now, it will arrive in some minutes. Let’s join Click a Pé photowalks! I want to know how to join Click a Pé photowalks!